Central New Jersey based vocalist, multi-instrumentalist, and songwriter Enrico Fernando’s band Red Black Red is an one man outing for this longtime fixture on the Jersey indie scene. The breath of this eight song release Resettlement is more than sufficient for introducing his talents to a national and global audience thanks to its potent blending of some of the more compelling sounds recognizable in modern music today. There’s never any sense of throwback or pastiche pervading this collection; it has a biting current sound that touches on tropes that will immediately click for both casual and longtime listeners. Fernando definitely presents some challenging tunes on the album largely devoid of melody, but he realizes the theatrical possibilities of the songwriting and style with such clarity that you’ll find yourself willing to forgive its absence. This release covers any impressive amount of ground both musically and lyrically without ever losing the listener along the way. Enrico Fernando has moved away from the limiting confines of the more straight forward hard rock he’s spent years playing with various New Jersey outfits and found his own personal sound for electronic rock. 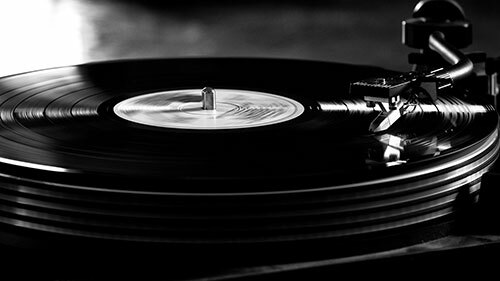 Others will rightly call it alternative rock, but it isn’t the sort of alternative rock popularized in the nineties and instead harbors a more idiosyncratic edge. The first song on Resettlement Kindness leans more to the electronic rock side of the album’s musical identity, but there are hints of some of the sound to come heard coloring the song’s undercurrent. There’s a singer/songwriter sensibility woven into the album that’s apparent from the first. The Scientist is near industrial metal with its buzzsaw guitars drained dry of warmth and the relentless, near-inhuman electronica pulse powering the song’s rhythm section sets an aggressive tone. He’s able to balance two very contrasting musical moods in the opening duo of songs while still keeping the project’s musical identity consistent. Debris leavens the intensity while still maintaining the same high level set by the preceding two songs. The relatively muted construction and sound of the song allows Fernando’s singing its first chance to shine without having to compete with the sonic storm typically swirling around him. A Dream in Fevered American is another adept stew of electronic rock with an artful use of guitar rather than trying to shoehorn the six string into an unduly prominent role. It’s one of the album’s best lyrics, as well, and Fernando seems to know that as well in the committed way he sings. We return to raucous electronica with A Cross and a Crescent, but a song still emerges from the sonic firestorm and it’s full of the nuance and consideration for accessibility that defines the album on the whole. The title song comes off as the album’s natural peak, in a way, with the finale serving more as a coda for the release. This is thanks, in no small part, to another boiling guitar track from Fernando that makes crystal clear, for a final time, the talents that earned him a spot in many bands before this project. Resettlement hopefully isn’t some one off recording because there’s promise present in this collection that could be consolidated into one of the indie scene’s most important ongoing projects. 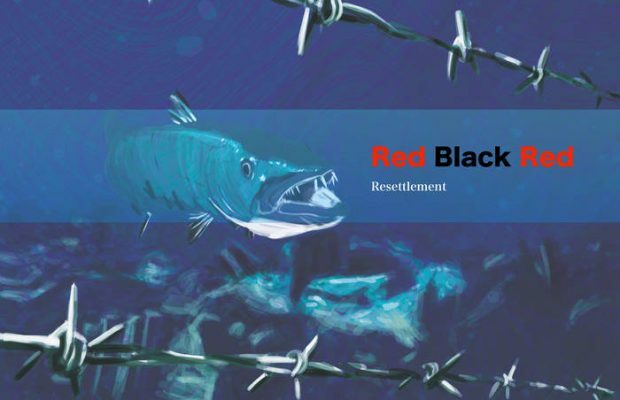 If you enjoyed a preview from Resettlement, check out the official website for Red Black Red by clicking here. Give him a like on Facebook by clicking here.